The Jahnke Guest Residence is wood framed with cedar roofing and siding, the surround lanai is ipe. Interior finishes include hemlock ceilings and coffers, teak walls, ipe flooring and stone counters. Collaborators included Sandy Walker, David Armour / Walker Moody Architects. Consultant was Bill Blakeney / William Blakeney Structural Engineers, David Tamura / Tamura Landscape Architects. The Contractor was Ledson Construction. This Private Residence was a complete site redesign with pools and water features, and a total interior renovation including a commercial scale kitchen, fireplaces, electric sliding doors, with quality detailing and finishes throughout. Collaborators were Albrecht Pichler, Jim Tinson, Ara Arnn / Hart Howerton Architects; Ann Howerton / Hart Howerton Landscape; Mark Stech-Novak / Mark Stech-Novak Restaurant Design; Walter Moberg / Moberg Fireplaces. Consultants included Bill Blakeney / William Blakeney Structural Engineers, Mark Morrison / Morrison Mechanical Engineers, Halina Gruszka / Lighting & Engineering Integrated. The Contractor was Ledson Construction. The Frampton Residence Hualalai Resort has multiple pavilion structures with slab on grade, wood frame walls and roof trusses. Exteriors are cedar shake roofing, cedar siding and A'a rock walls. The interiors are finely detailed with African mahogany, stone floor and counter finishes. Collaborators included Duane Piper / Piper Arcitecture; Andrea Geogoplis / Slifer Designs. Consultants were Bill Blakeney / William Blakeney Structural Engineers, Mark Morrison / Morrison Mechanical Engineers; Halina Gruszka / Lighting & Engineering Integrated; Amy Boyd / Boyd Landscape Architects. Contractor was Ryan Associates. 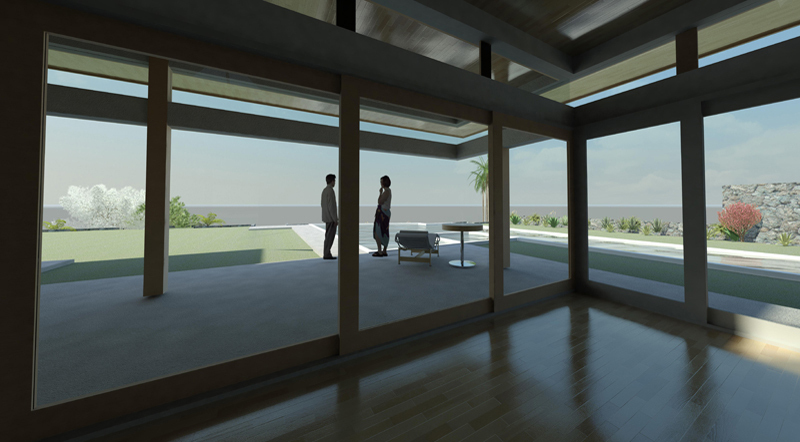 Project: Proposed MacNaughton Residence 2006, Mauna Lani Resort, Hawaii. Project: Bruington Residence 2005, Waikoloa Beach Resort, Hawaii. 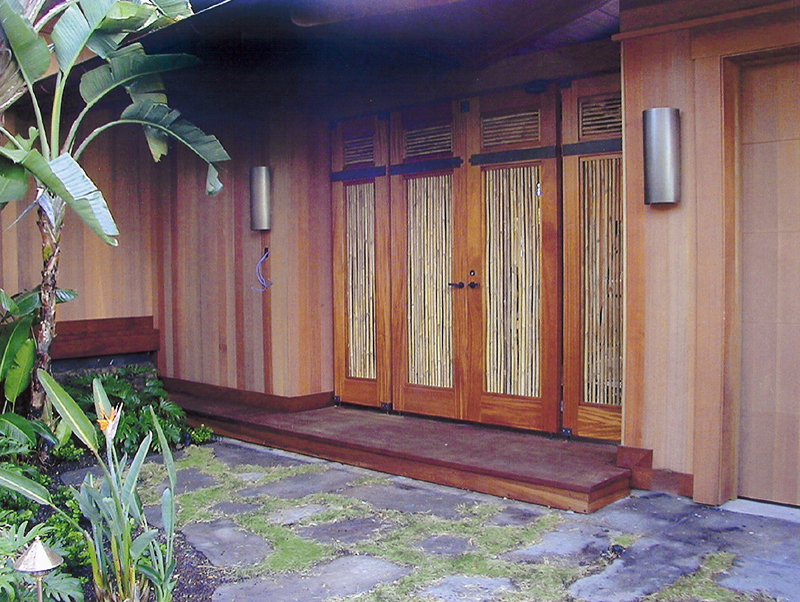 The Bruington Residence at Waikoloa Beach Resort is a Hawaii open-type design with pocket doors connecting the interior to large exterior lanai living spaces. Construction is wood frame on concrete slab on grade. Exterior finishes included cement plaster walls and concrete roofing tiles and the interior was detailed with African mahogany trims and stone floors and counters. Consultants included Bill Blakeney / William Blakeney Structural Engineers; Wally Oki / Wallace T. Oki Electrical Engineers; and Deborah Stone-Swanson / Stone-Swanson Landscape Architect. 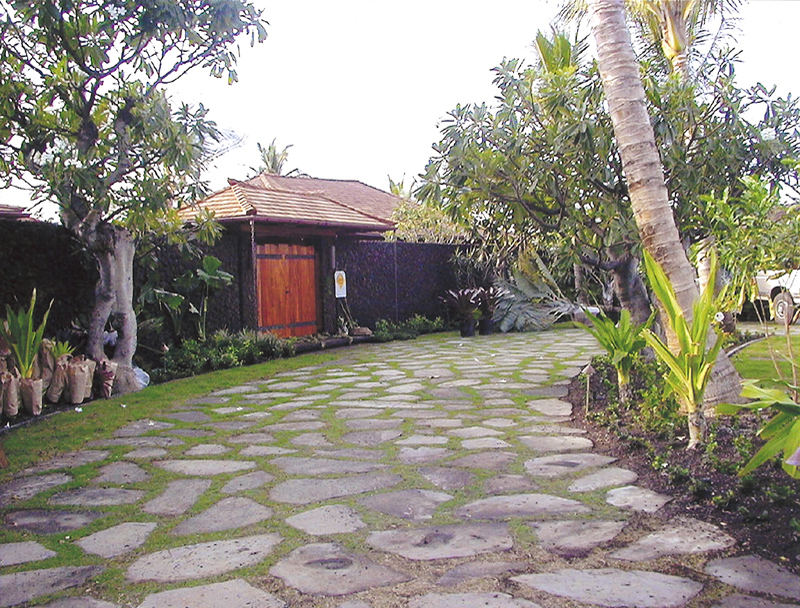 Project: Cutler Residence 2005, Hawaiian Paradise Park, Hawaii. 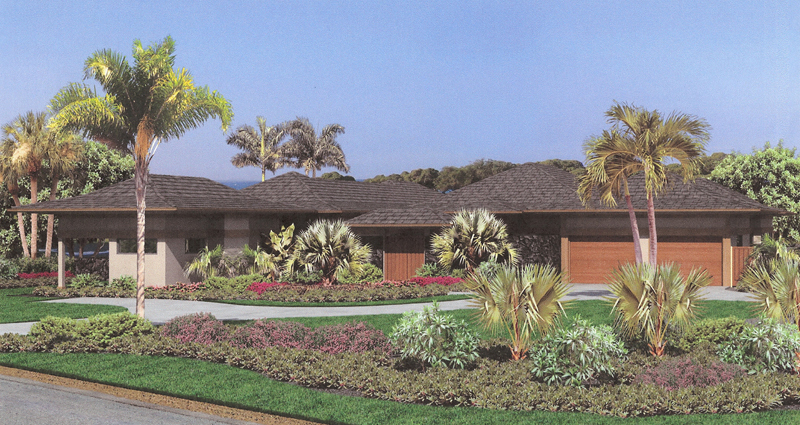 The Cutler Residence located in Hawaiian Paradise Park, is wood frame construction on concrete slab on grade; this is Hawaii style with large covered lanais and roof overhangs, with the exterior in wood siding and metal roofing for water catchment. The interior features eucalyptus flooring and stone counters. Consultant was Bill Blakeney / William Blakeney Structural Engineers. 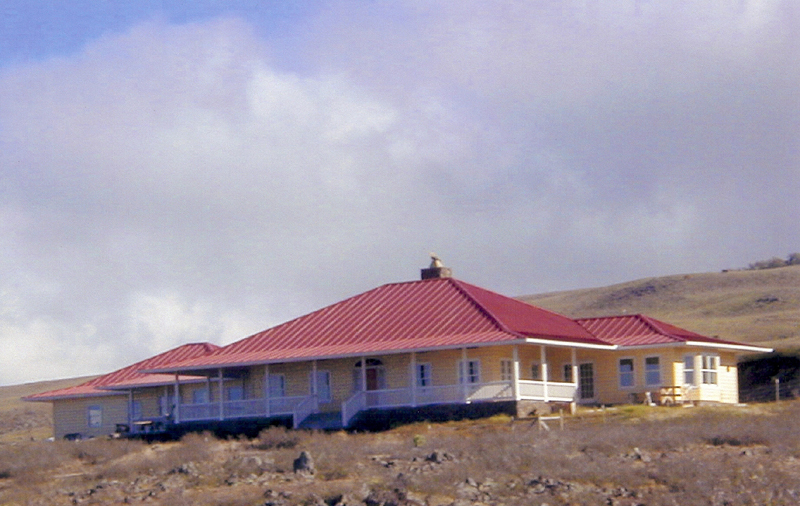 Project: Federman Residence (with Hill Glazier) 2003 Mauna Kea Resort , Hawaii. 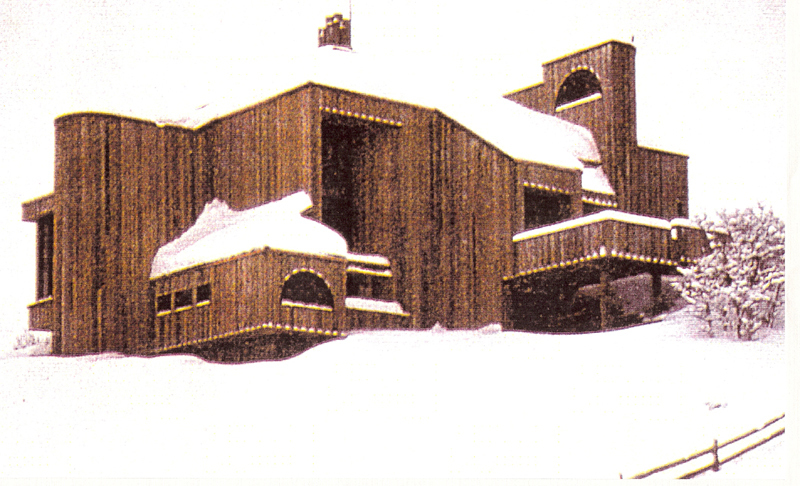 The Federman Residence at Mauna Kea Resort was constructed slab on grade with metal studs and wood roof trusses. The exterior finishes include slate roofing and African mahogany siding, transom grill and soffits. The interior is finely detailed in African mahogany and stone, and with Ipe flooring and concrete counters. Extensive sliding pocket doors join together the interior and exterior living areas. Collaborators include Bob Glazier / Hill Glazier; Paul Wiseman, Kathleen Johnston / The Wiseman Group. The Consultants were Bill Blakeney / William Blakeney Structural Engineers; Rick Beall / Rick Beall Mechanical Engineers; Don Vita / Don Vita Landscape Architect. The Contractor was Ryan Associates. 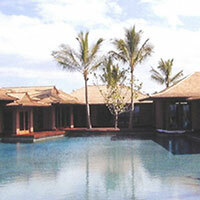 Project: MacDonnell Residence (with Sandy Walker) 2001 Hualalai Resort, Hawaii. The MacDonnell Residence has a structural steel frame in-filled with wood framing. This large, complex project has 3-wings, 2 of which wrap around the expansive pool. The exterior was finished with cedar siding and roofing shakes. The interiors walls are in hemlock with cedar ceiling coffers. Collaborators were Sandy Walker, Kevin Maxey / Walker Moody Architects. Consultants included Afaq Sarwar / Sarwar Structural Engineers; Nimr Tamimi / Engineering Partners Mechanical Engineers; and Wally Oki / Wallace T. Oki Electrical Engineers. Contractor was Ledson Construction. 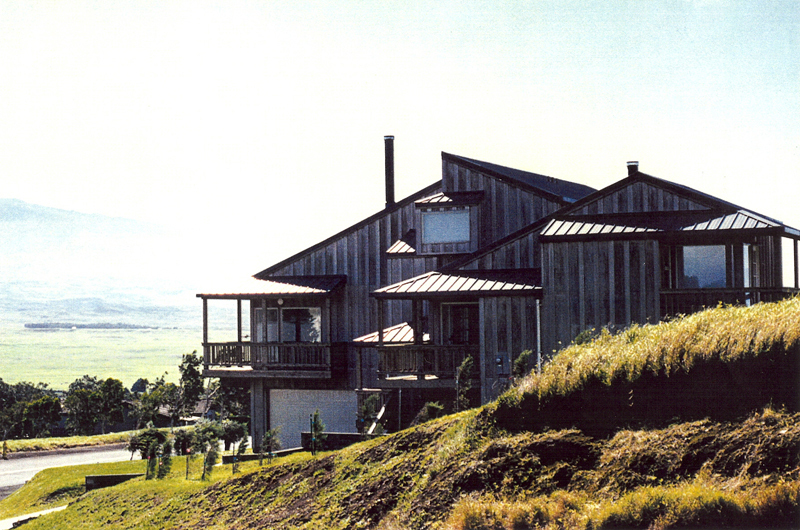 Project: Laber Residence, 2004, Kohala, Hawaii. 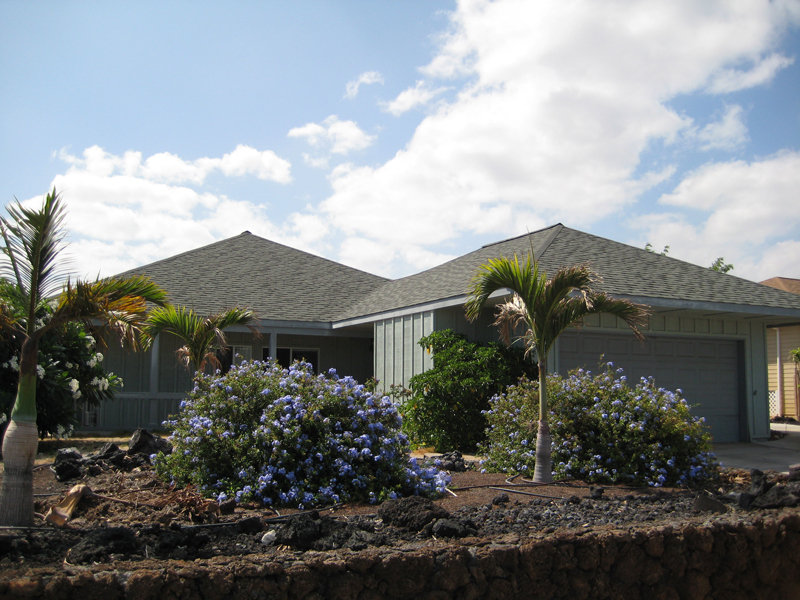 The Laber Residence is located in Waikoloa Village and has wood frame construction with concrete slab on grade; the exterior finishes of wood siding, ceramic tile lanais and composition shingle roofing. Sliding doors open to covered lanais with mountain and ocean views. Consultant was Bill Blakeney / William Blakeney Structural Engineers. The contractor was Joel Laber. 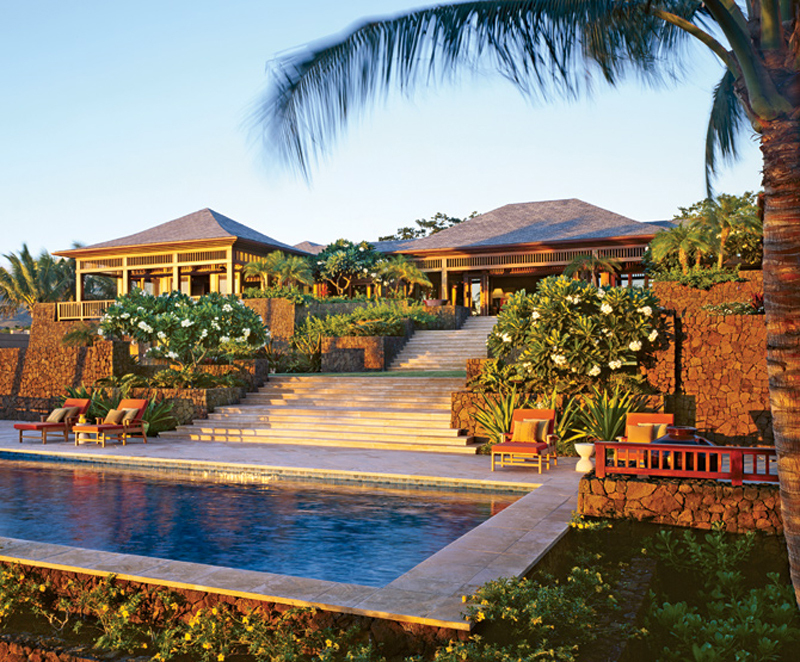 Project: Long Residence 2003, Kohala, Hawaii. 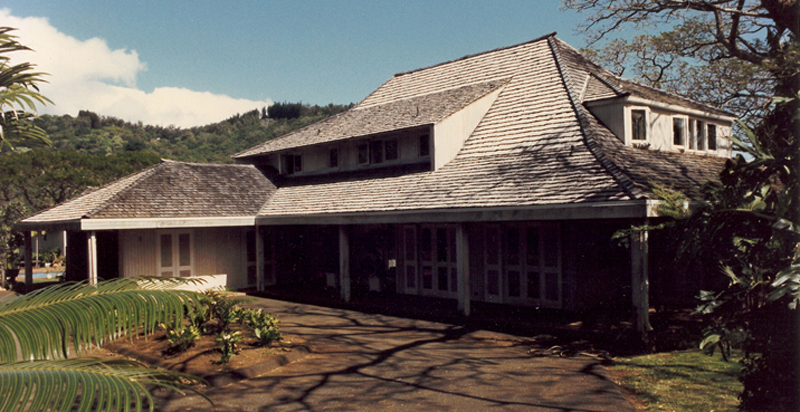 The Long Residence at Kohala Ranch has the double-pitch roof with surround veranda. Construction is wood framing on concrete slab with wood siding and standing seam metal roofing. The interiors have wood trim detailing and stone floors. Collaborator was Lee Masters / Lee Masters Architect. Consultant was Bill Blakeney / William Blakeney Structural Engineers. Contractor was Schilling Construction. 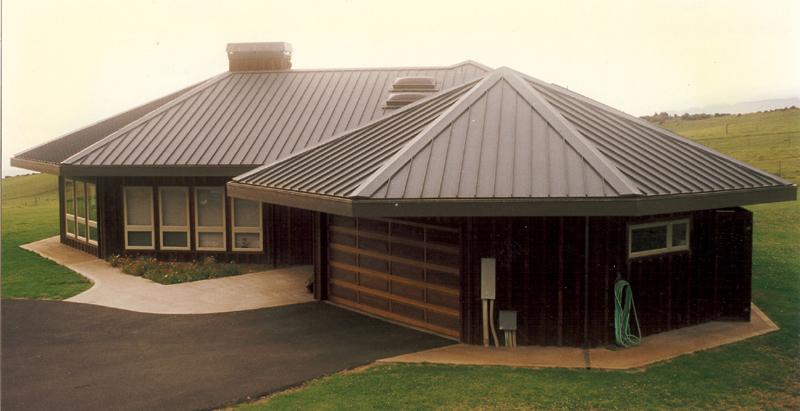 Project: Laber Residence, 2002, Waikoloa, Hawaii. 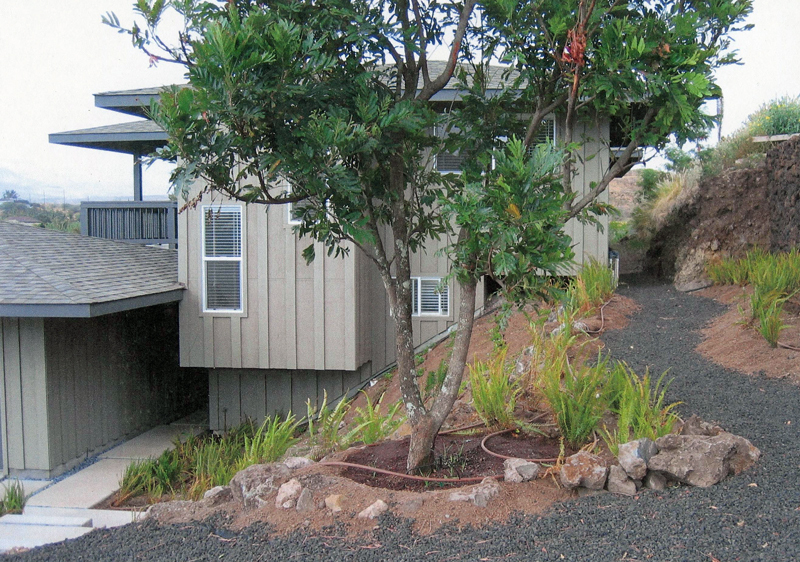 The Laber Residence is located in Waikoloa Village and has wood frame construction with concrete slab on grade; the exterior finishes of wood siding, composition shingle roofing. Sliding doors open to covered tile lanais. 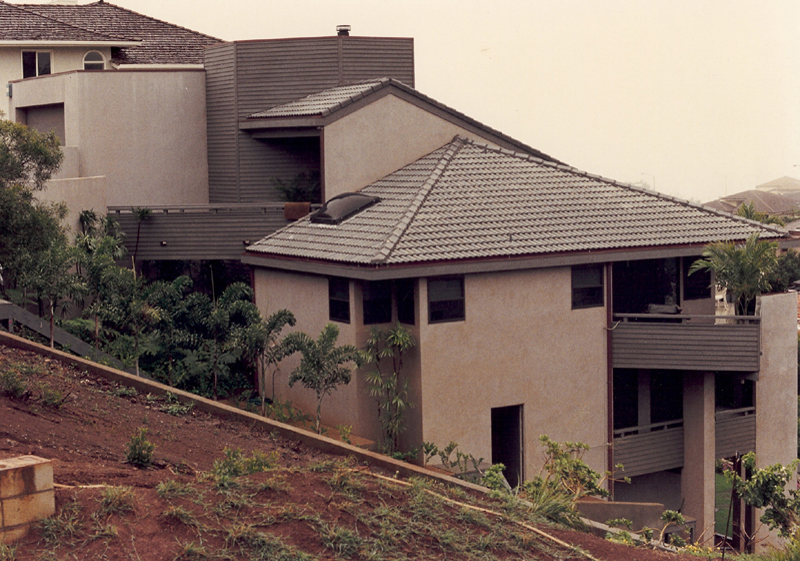 Project: West Residence 1994, Kamuela, Hawaii. 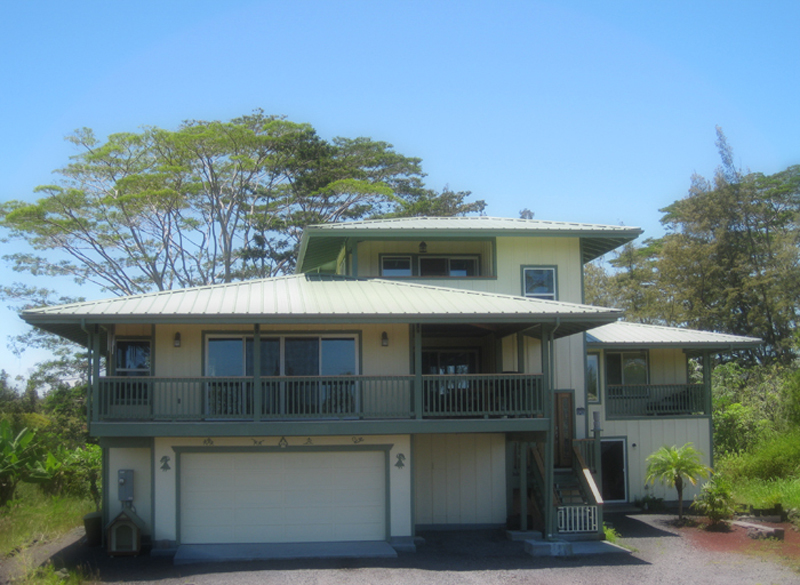 The West Residence in Kamuela is up-country and has wood framed floors, walls and roof. The exterior has wood siding and metal roofing and the interior has oak flooring, and stone counters. Consultant was Jim Adams / JAI Structural Engineers. Contractor was Quality Builders. Project: Gonzalez Residence 1993, Waikii, Hawaii. The Gonzalez Residence in Waikii Ranch has wood frame construction on concrete slab with cedar siding and standing seam metal roofing. The interior has Honduran mahogany trim and stone flooring. 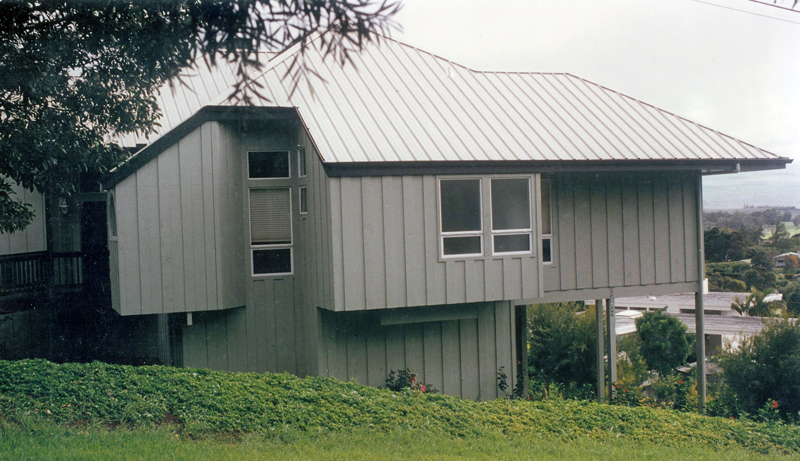 Project: Laber Residence 1992, Kamuela, Hawaii. 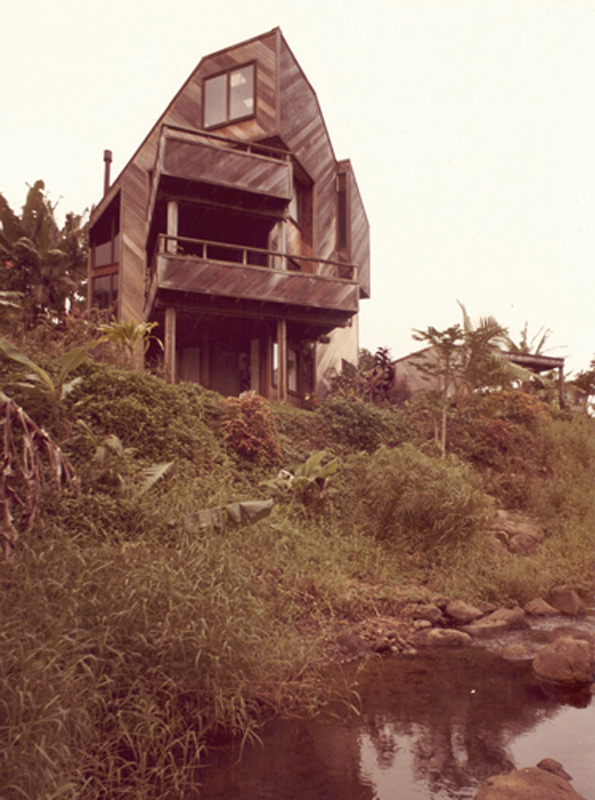 The Laber Residence located in Kamuela was wood framed with cedar siding and metal roofing. Up-country with fireplaces, oak flooring and tile counters. Consultant was Jim Adams / Jai Structural Engineers. 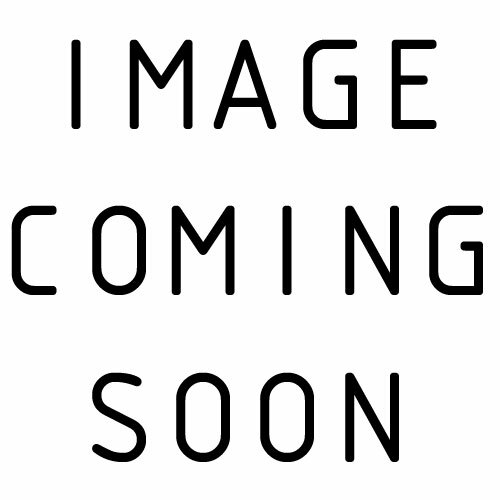 Contractor was Joel Laber. 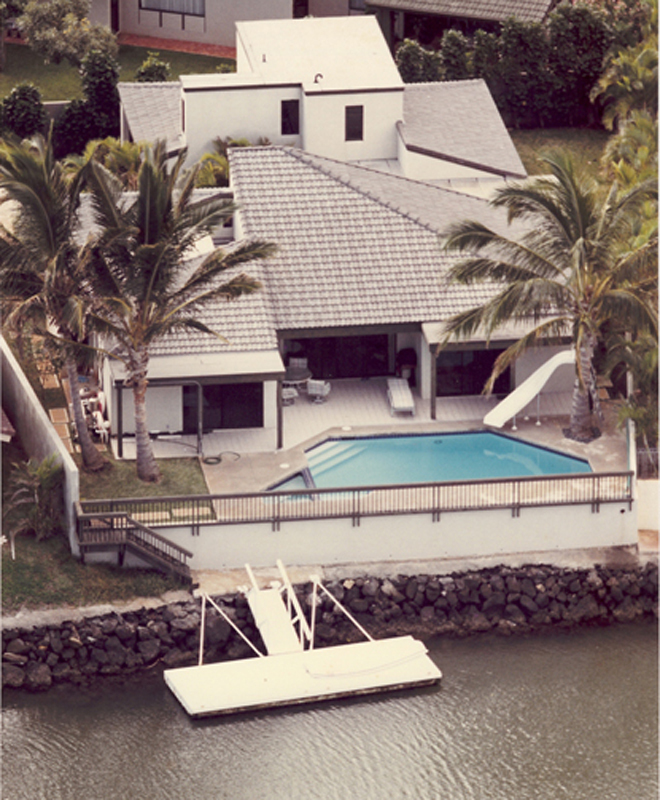 Project: Laber Residence 1985, Hawaii Kai, Oahu. The Laber Residence on the Hawaii Kai Marina was wood framed on concrete slab on grade with cement plaster exterior walls and concrete tile roof, and featured guest suite, pool/spa and boat dock. Interior included tile floors, counters and cedar ceilings. Project: Wrixon Residence 1990, Honolulu, Oahu. The Wrixon Residence in Honolulu is a multi-story project overlooking Diamond Head. The construction is wood frame with cement plaster exterior walls, concrete roof tiles and tile lanais. Collaborators were Rick Huxley and Lee Masters. Consultant was Jim Adams, Afaq Sarwar / JAI Structural Engineers. Contractor was Joel Laber. 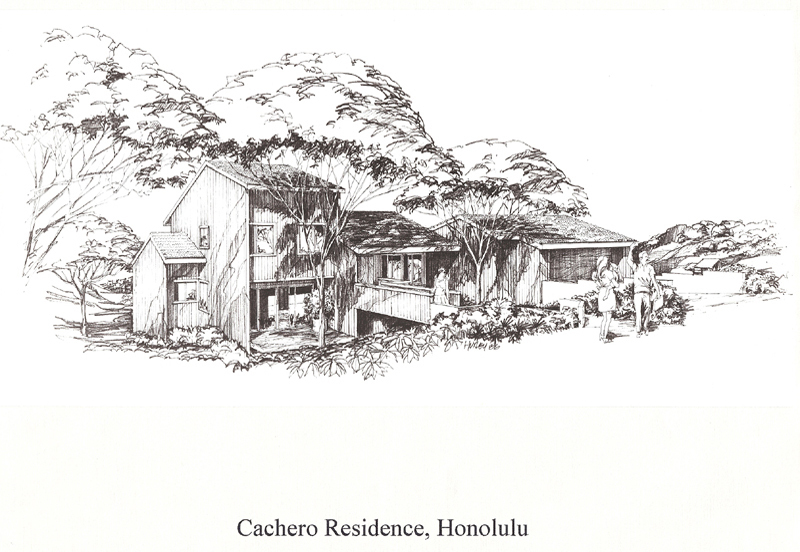 Project: Cachero Residence 1988, Honolulu, Oahu. The Cachero Residence is located in Waialae Iki overlooking Honolulu. Multi-story with wood frame construction, the exterior is in wood siding with concrete roofing tiles. Interiors are finished with tile floors and counters. Collaborators were Lee Masters and Rick Huxley. Contractor was Joel Laber. 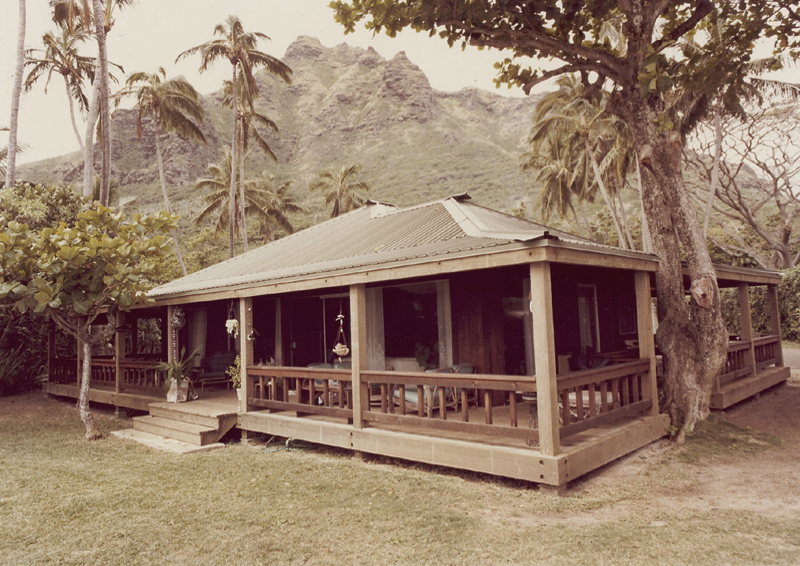 Project: Chun Residence 1982, Kaneohe, Oahu. The Chun Residence is a multi-story hillside project and was wood frame construction. Exterior was finished with cedar siding and metal roofing, and the interiors have wood plank flooring and cedar ceilings. Collaborators were Richard Balcom, Stefan Schweitzer and Lee Masters. Consultant was Jim Adams / JAI Structural Engineers. Contractor was Richard Cooke Construction. 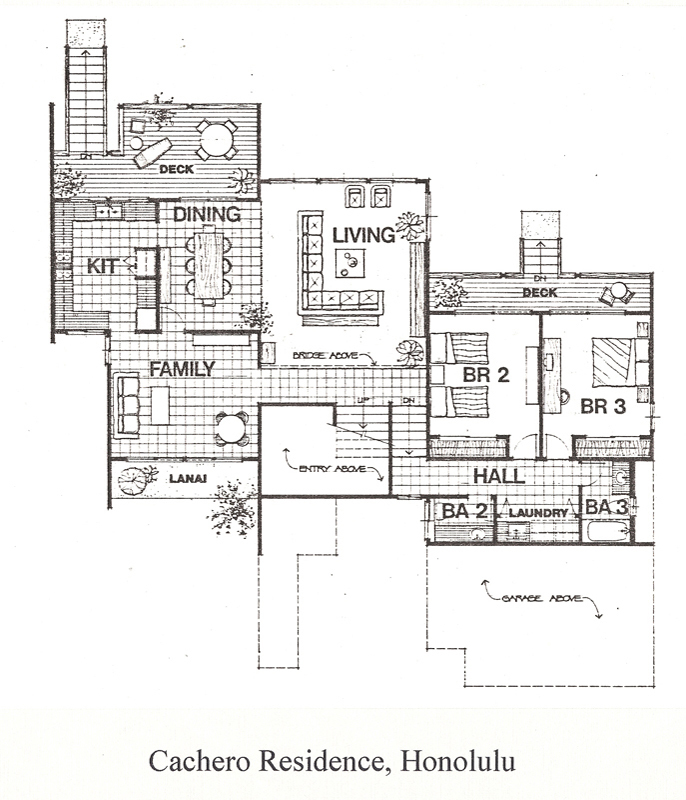 Project: Brink Residence 1983, Honolulu, Oahu. 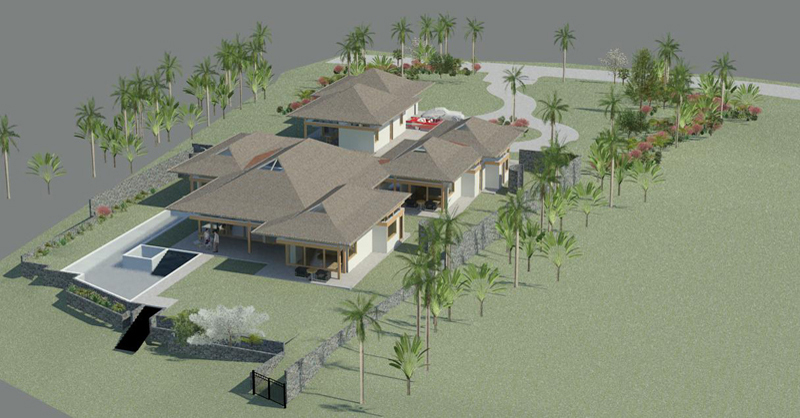 The Brink Residence is Hawaii style with double-pitch roof and French doors opening onto the surround veranda. Construction was concrete slab on grade and wood framing. Collaborators were Richard Balcom, Stefan Schweitzer, and Lee Masters. Consultant was Jim Adams / JAI Structural Engineers. Contractor was Richard Cooke Construction. 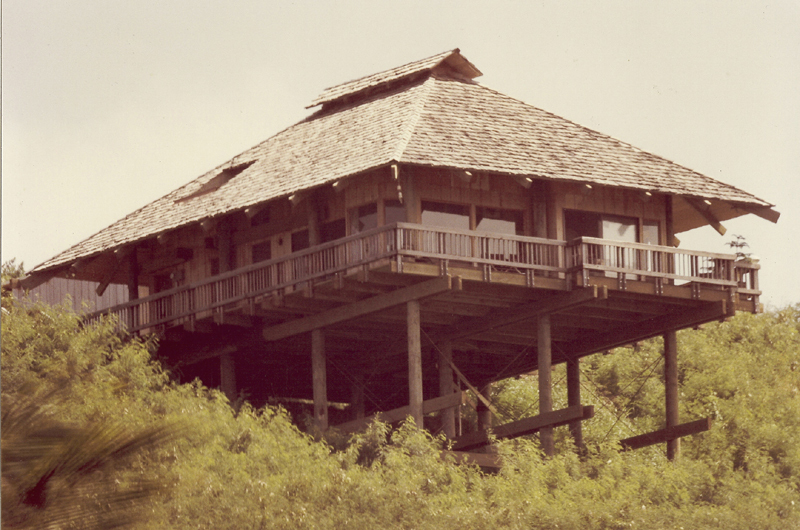 Project: Correia Residence 1978, Punaluu, Oahu. 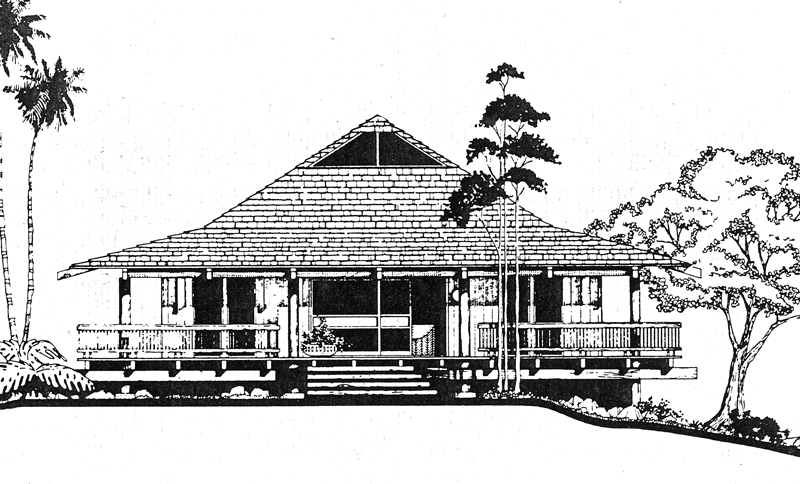 The Correia Residence in Punaluu was a lanai/veranda and art studio/office addition. Construction is wood frame with exterior cedar siding and metal roofing. The lanai addition allowed the residence to be opened to the ocean front view. Collaborators were Stefan Schweitzer, Richard Balcom and Lee Masters. Consultant was Jim Adams / JAI Structural Engineers. Contractor was Richard Cooke Construction. 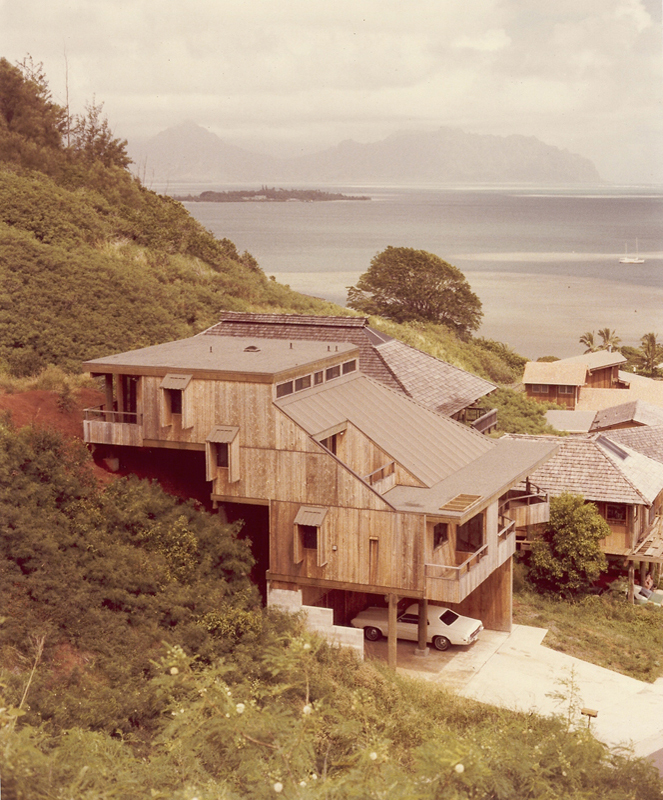 Project: Wong Residence 1977, Kaneohe, Oahu. The Wong Residence in Kaneohe is wood framed with and exterior of cement plaster. The interior has oak and stone flooring. Project: Woods Residence (with Lacayo), Aspen, Colorado. The Woods residence in Aspen is wood framed multi-story with cedar exterior siding, interior accents and mexican tile flooring. 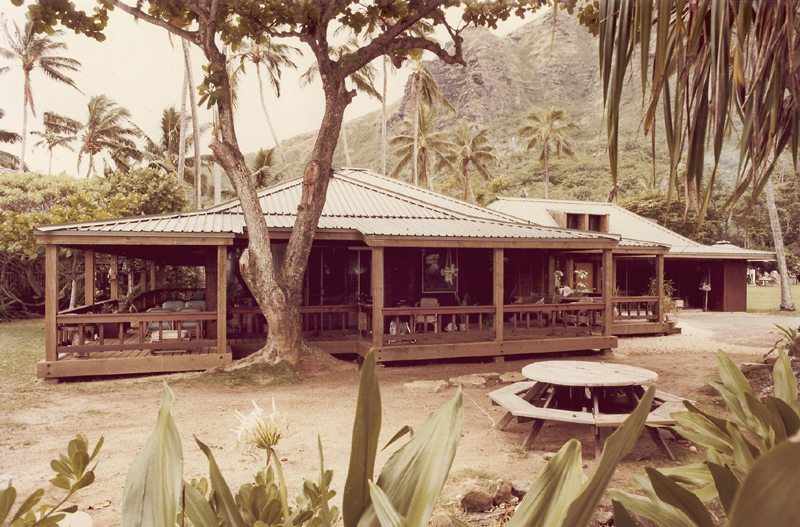 Project: Kailua Partners, 1981, Oahu. Pole House Hawaii in Kailua is a semi-custom residence featuring ponderosa pine columns, cedar siding and roofing. Featured are sliding glass doors opening to the surround veranda. Consultant was Jim Adams / JAI Structural Engineers. Contractor was Richard Cooke Construction. 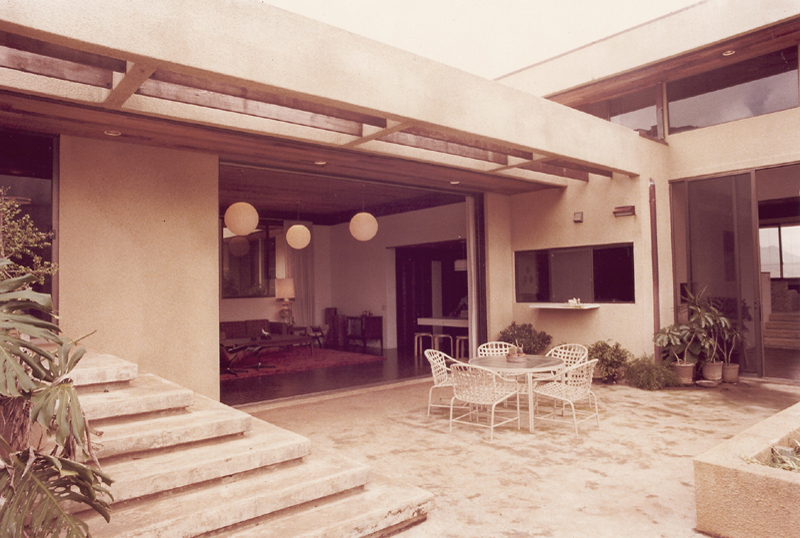 Project: Nabors Residence, 1981, Oahu. 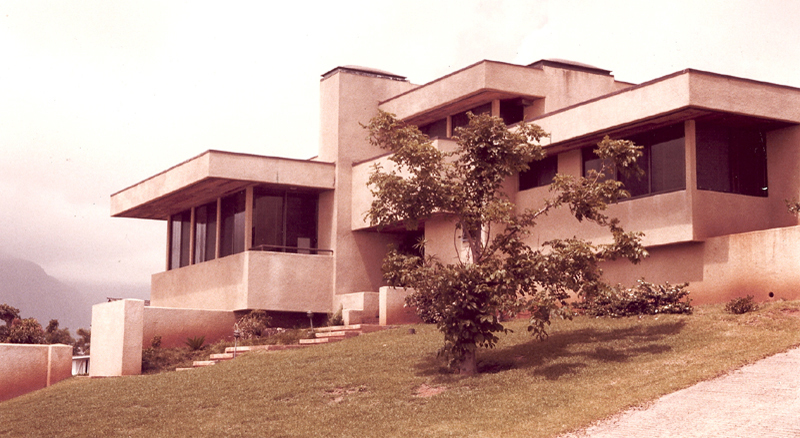 Project: Pryor Residence, 1980, Oahu. The Richard Pryor Residence in Hana is a semi-custom Pole House Hawaii wood framed on Ponderosa pine columns and cedar finished exterior and interiors. Multiple sliding glass doors open to surround verandas and ocean views. Project: Pole House Hawaii, 1979, Oahu. Pole House in Kaneohe is a 2-story semi-custom residence wood framed on Ponderosa pine structural columns with Hawaii style double-pitch roof and verandas. Exterior and interiors are finished in cedar. 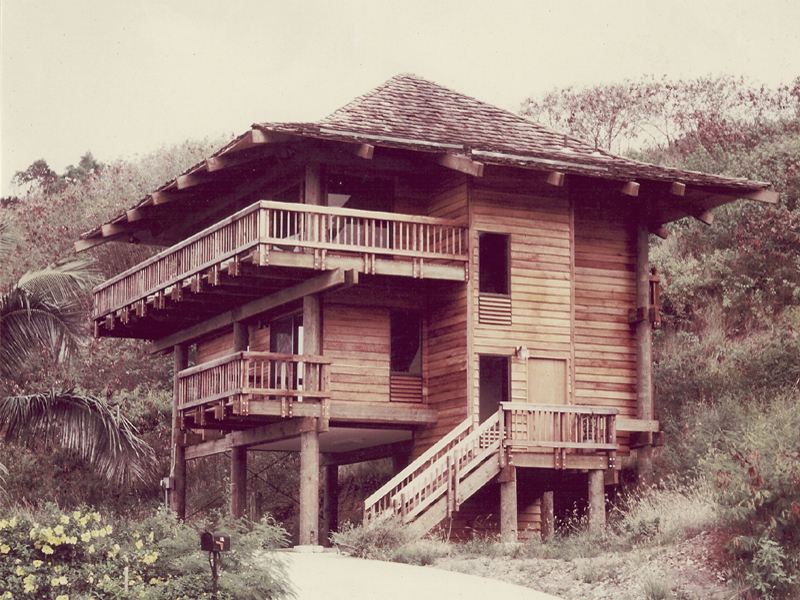 Project: Laber Residence, 1972, Kahaluu, Oahu. 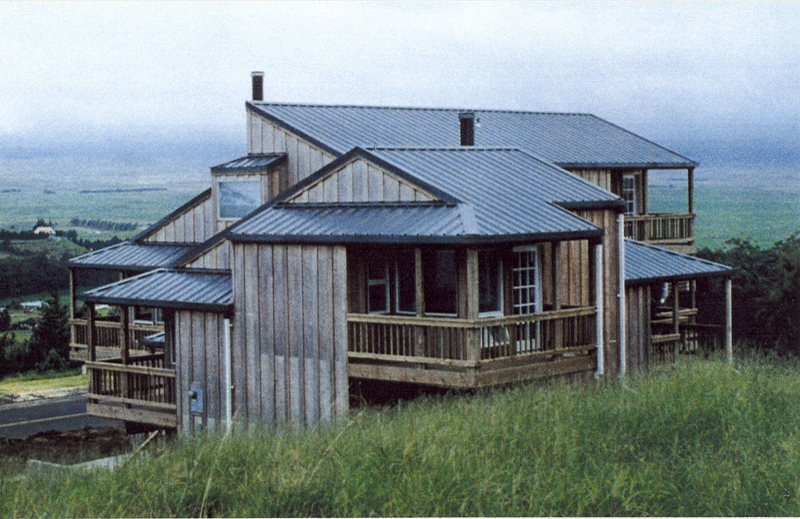 The Laber Residence located in Kahaluu is multi-story wood construction finished with cedar siding and metal roofing.